Citron Research says a toxic mix of environmental liabilities and debt could push the $1.5 bln DuPont chemicals spinoff into bankruptcy. Though an overstatement of the bear case, it raises worthwhile questions about the Chemours balance sheet – and DuPont management’s intent. 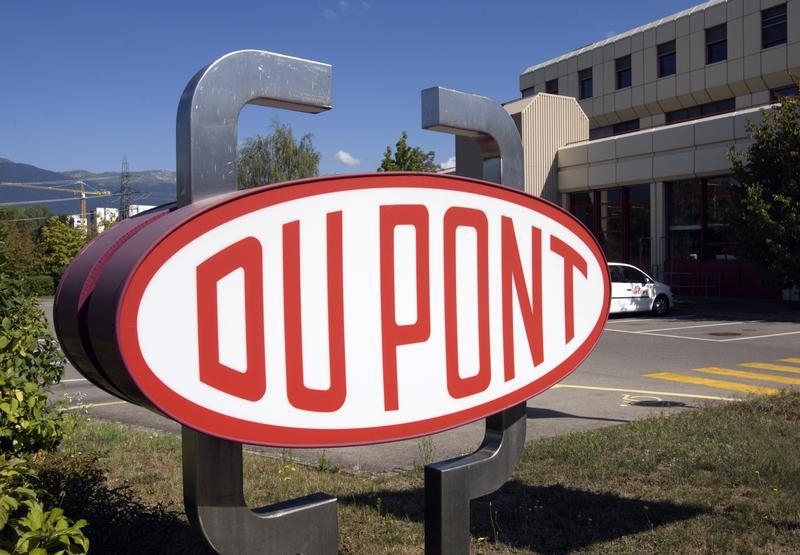 The DuPont logo in Geneva, August 4, 2009. Shares of Chemours fell nearly 5 percent on June 3, a day after short-seller Citron Research published a report arguing that the $2 billion former DuPont chemical unit could go bankrupt within 18 months. Chemours on June 2 said it “strongly refuted” the Citron report. The company said it continued “to execute on all aspects” of a plan to improve adjusted earnings before interest, tax, depreciation and amortization by $500 million over 2015 levels and cut net debt to three times EBITDA by 2017.